Home > Ready to Rock? Let us help energize your crowd! Book Finneus for your next event. 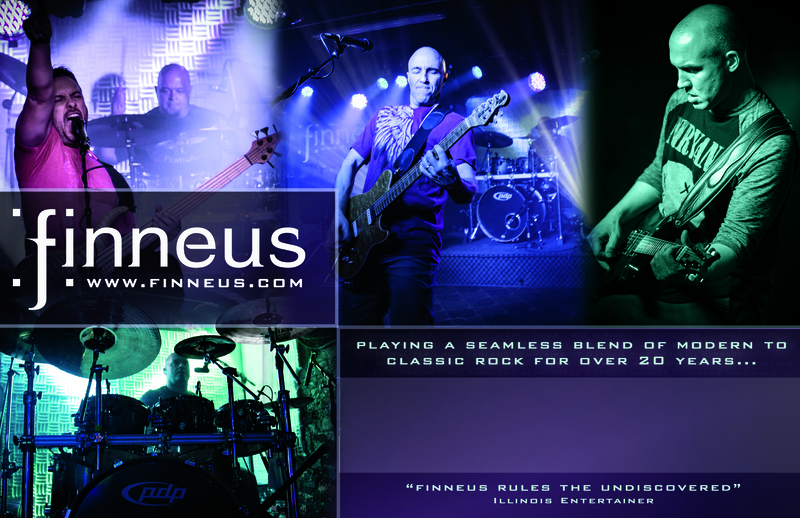 Throughout the past two decades, Finneus has proven to be a respected staple in the Chicagoland and Midwest music scene. With a diverse repertoire of music ranging from The Beatles to Train, Bob Marley to Jason Mraz, Finneus’s musicianship is marked by their versatility, energetic performances and relentless pursuit keep the crowds entertained. Music & Bar venues represent the majority of Finneus gigs. Armed with a diverse set list and a developed instinct for “reading” the crowd, Finneus aims to keep your patrons energized and entertained so your venue remains “busy” throughout the night. Typical shows range from 2-3 sets (60-90 minutes each). Tour schedule is spread out geographically to optimize fan draw. Make your next private event special with Finneus. Having played shows ranging from weddings to backyard barbecues to corporate engagements, Finneus can provide a one of a kind entertainment experience that will make your special event fun & memorable. Having helped raise thousands of dollars for charities such as St. Jude Children’s Hospital and the Junior Diabetes Research Foundation, Finneus believes in sharing their talent for the benefit of others. Inquire to see how Finneus can help spread awareness and excitement at your next charity function. Playing a seamless blend of classic to modern rock…and a lot in between. This Town O.A.R And always adding…. Ready to book a show? Fill out the form below or contact Dave Bucher at 630-452-3329 or dave@Finneus.com.